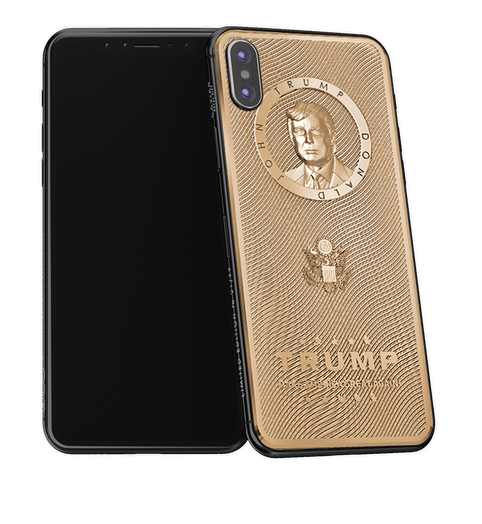 Leaders Trump Changeover The smartphone design represents a composition coated with gold and embodied in the relief engravings forming Trump's portrait and coat of arms of the USA, as well as a slogan which led Trump to the victory: «Make America Great Again». 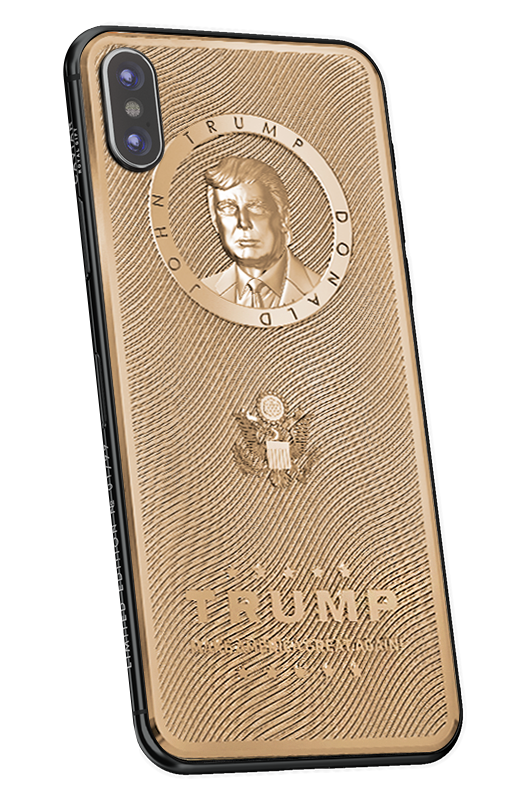 This phone is an expression of hopes of closer relations of Russia and the USA and that benevolent words of Trump on Russia will be followed by actions leading to change of relations between great states for the better. 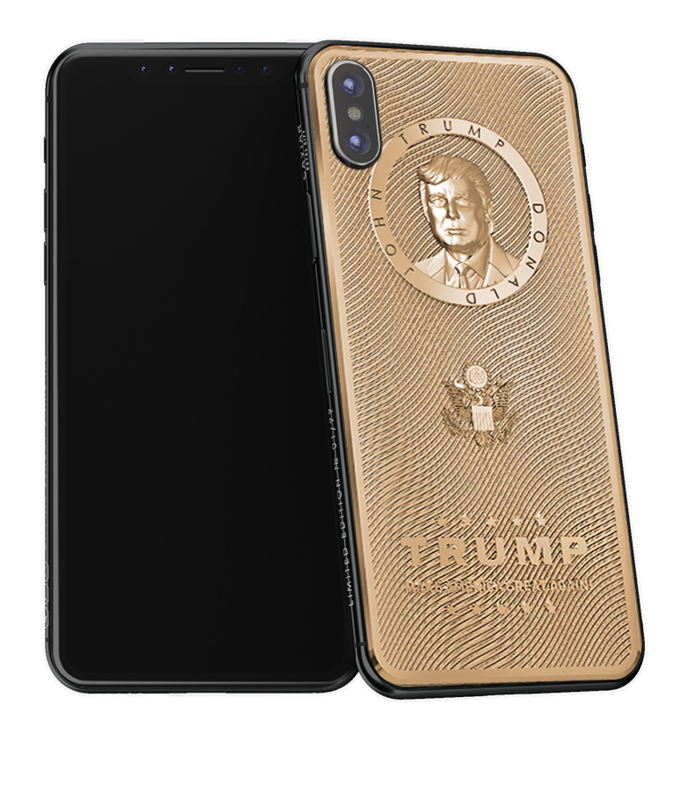 The smartphone design represents a composition coated with gold and embodied in the relief engravings forming Trump's portrait and coat of arms of the USA, as well as a slogan which led Trump to the victory: «Make America Great Again». 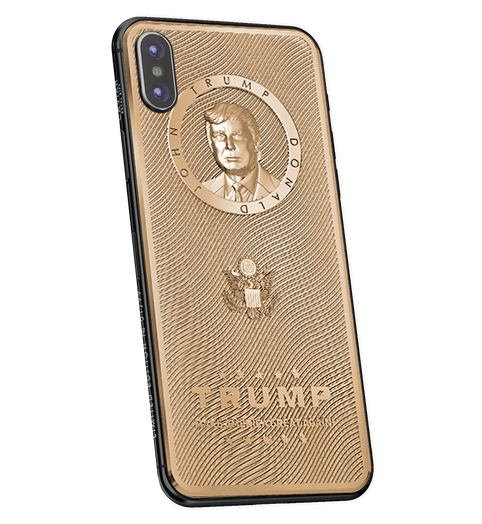 This phone is an expression of hopes of closer relations of Russia and the USA and that benevolent words of Trump on Russia will be followed by actions leading to change of relations between great states for the better. Figured manual carving of waves, with engraved "TRUMP" symbol. Double gold coating by Double Electroplated technology (24-carat, 7 microns).